Oriental rabbi and Talmudist; died 1674. He was at first rabbi at Manissa, Turkey, and at an advanced age was called to Smyrna as judge in civil affairs. In 1665, when the Shabbethai Ẓebi movement was at its height there, he was one of the few rabbis who had the courage to oppose the false prophet and excommunicate him. Shabbethai Ẓebi and his adherents retorted by deposing him and forcing him to leave the city, and his office was given to his colleague, Ḥayyim Benveniste, at that time one of Shabbethai'sfollowers. After Shabbethai Ẓebi's conversion to Islam, Lapapa seems to have been reinstated. 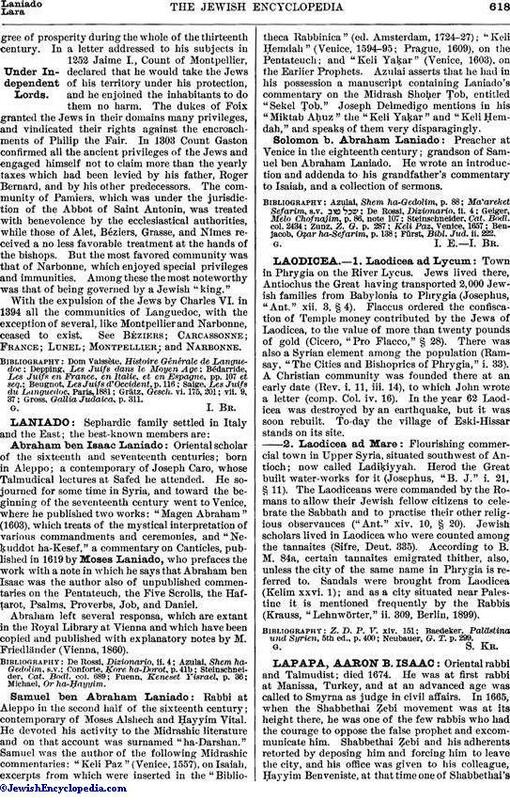 Aaron Lapapa was a pupil of Abraham Motal and son-in-law of Solomon Algazi. He wrote: "Bene Aharon," responsa and novellæ (Smyrna, 1674); "Teshubot," responsa, published in the "'Abaḳ Derakim" of Baruch Kalometi (Salonica, 1714); "Yad Aharon," an index to the Talmud and to rabbinical literature (see Benjacob, "Oẓar ha-Sefarim"). 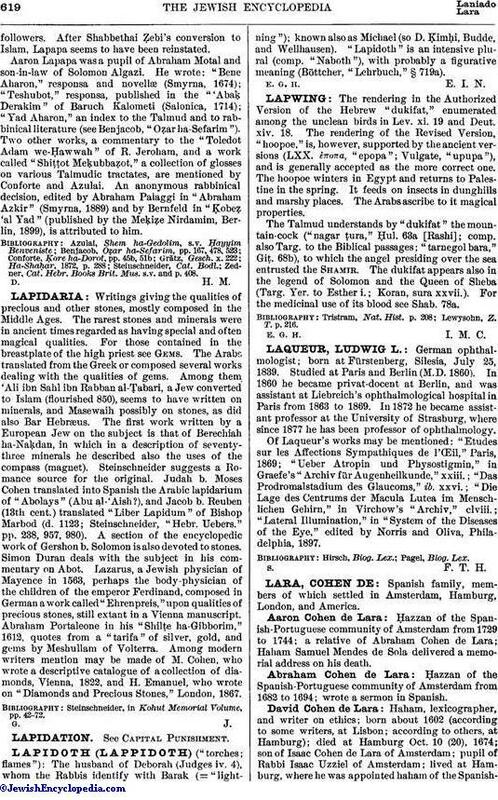 Two other works, a commentary to the "Toledot Adam we-Ḥawwah" of R. Jeroham, and a work called "Shiṭṭot Meḳubbaẓot," a collection of glosses on various Talmudic tractates, are mentioned by Conforte and Azulai. An anonymous rabbinical decision, edited by Abraham Palaggi in "Abraham Azkir" (Smyrna, 1889) and by Bernfeld in "Ḳobeẓ 'al Yad" (published by the Meḳiẓe Nirdamim, Berlin, 1899), is attributed to him. Zedner, Cat. Hebr. Books Brit. Mus. s.v. and p. 408.